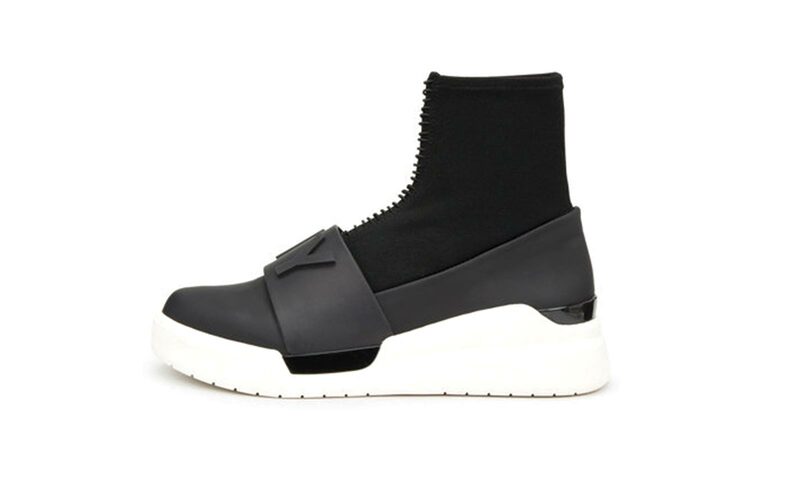 Forget everything you know about conventionally attractive footwear. At Travel + Leisure, we make no bones about our affinity for comfortable shoes. But the latest crop confirms a trend we've been keeping tabs on since the fashion world's fanny pack resurgence: Comfort shoes, orthopedic vibes and all, are cool. It's easier to see the allure if you define “cool” as effortless. And the simplest way to add a touch of nonchalance to your ensemble? Ugly, ugly shoes. We’re talking fur-clad pool slides, stone embellished Crocs, sequin-bedecked Velcro sandals, and yes, even Birkenstocks, which recently released a limited-edition leather “Arizona Exquisite” to the tune of $800. Just how far will the ugly-luxe shoe trend go? 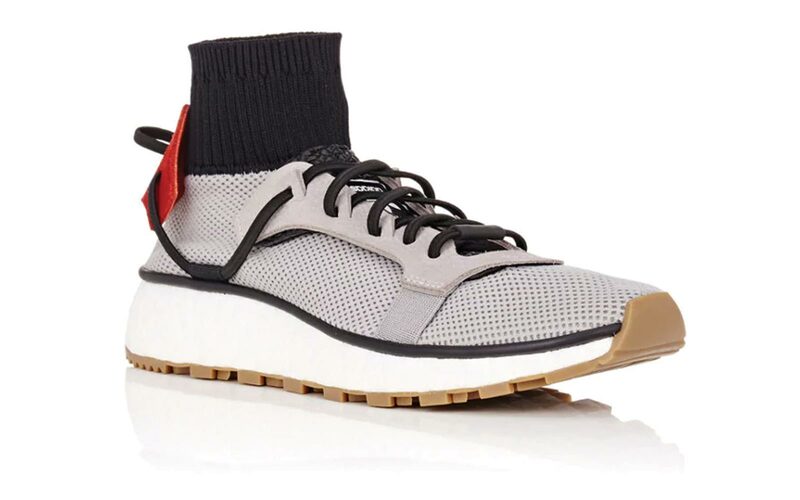 Hopefully, no further than the sock sneaker, which looks exactly like it sounds: a mid-rise sock attached to a rubber sole. This month, model and beacon of cool Bella Hadid was spotted wearing DKNY’s platform sock sneakers while out in New York City. Hadid paired the futuristic slip-ons with a white fitted tank and high-rise white denim, in line with her off-duty streetwear aesthetic of sweatshirts, jeans, joggers, combat boots, and now, these thick-soled atrocities sneakers. Model Kaia Gerber has also recently been photographed out in a pair. 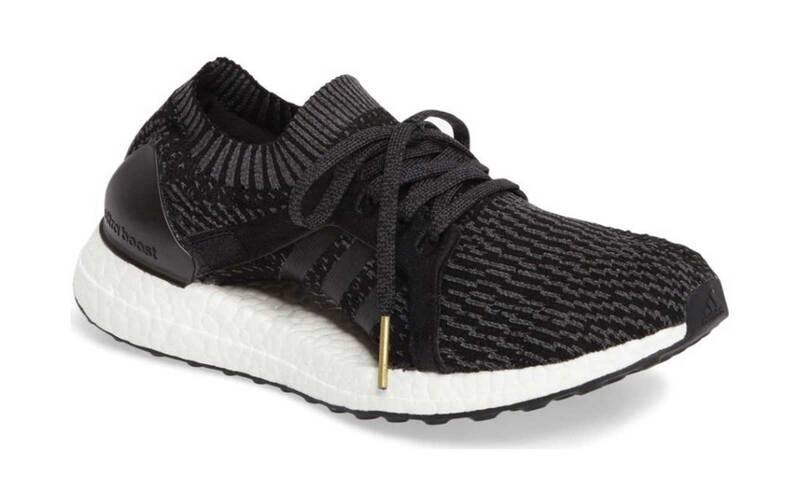 With the rise of knits in the athletic wear space, we should have seen the sock sneaker coming. This particular pair of mixed-media shoes was shown in a variety of lengths (ankle to thigh-high) and colors during DKNY’s Spring/Summer 2017 runway show — which Hadid opened — when the brand was helmed by creative directors Maxwell Osborne and Dao-Yi Chow, who’ve since departed. 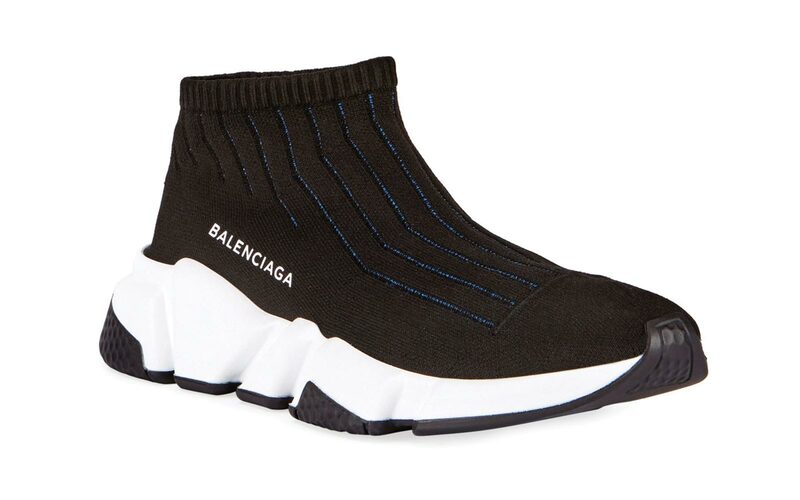 Brands like Adidas and designers like Balenciaga and Alexander Wang have jumped on, incorporated the sock-with-a-sole shoe into their latest collections and collaborations. You too can outfit yourself with the latest in shameless shoe trends, by shopping the DKNY sock sneakers (on sale) and some similar styles below.